When I shot this picture, I had to work fast, really fast. One reason was that I was so hungry and the other reason was it was much tasty to eat hot noodle. If I waited longer and all the noodle would have become sticky together, then all the efforts to make the noodle would go wasted. 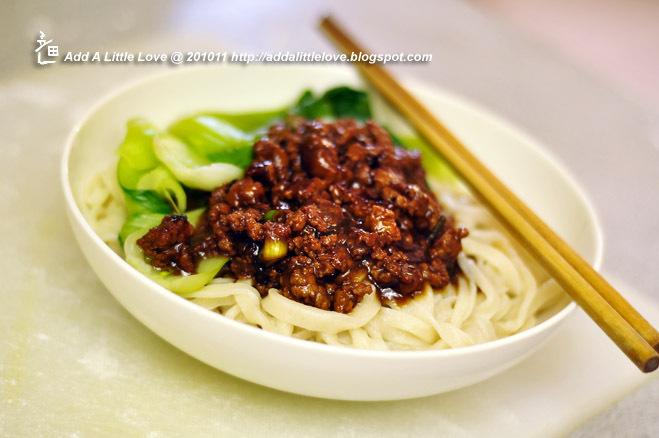 My mother made the noodle, and she is a big believer that everything is tastier if made by hand. But I think she is just enjoying the process as much as eating them. Heat the oil in the pan, and drop 2 tablespoon of green onion and ginger to bring out the flavor. Then add ground chicken, stir till cooked. Add the soybean paste and cook for 1 minute. Drop 2 table spoon of water into the pan. Simmer for about 5 minutes till the sauce is thick. Throw the rest of the green onions into the pan and then turn off the heat. Bring a big pot of water to boil. Mix the water and flour, and make a very hard dough. Let it rest for about an hour. 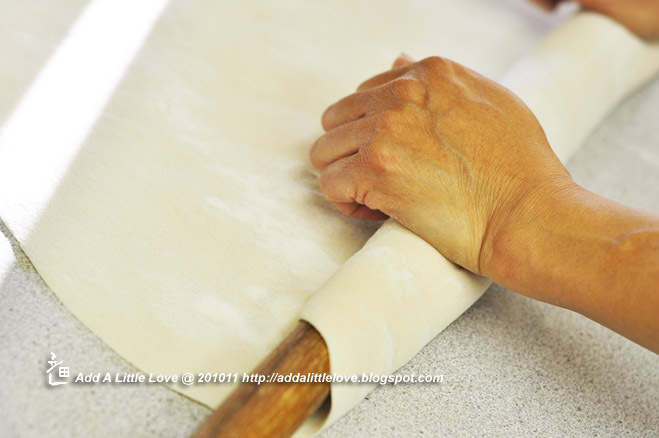 Use a very long rolling pin to roll the dough to a flat sheet. 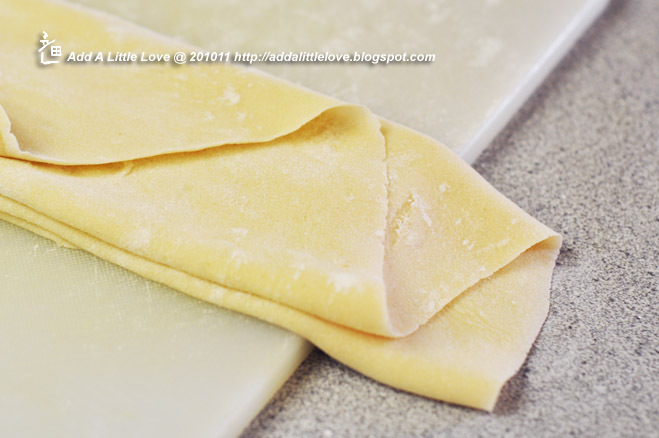 Use dry flour to dust on the dough surface whenever is necessary. 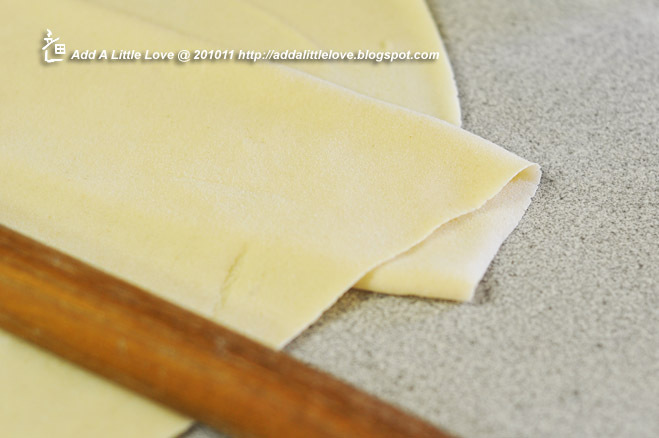 Cut the dough into thin noodle. 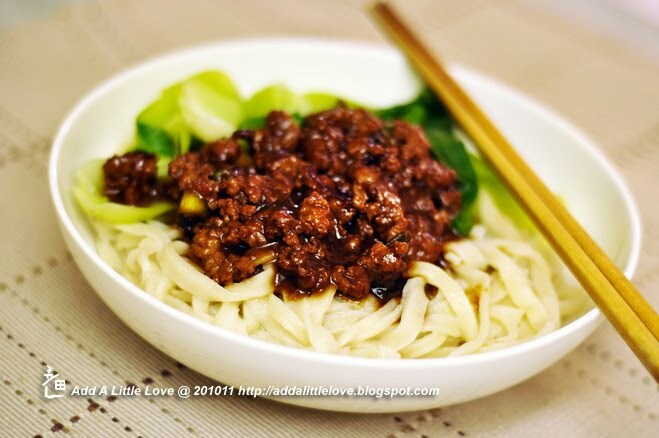 Drop about one cup of the noodle into the boiling water at a time. Boil the noodle for 3-4 minutes till it is cooked. Before take out the noodle, drop some green bok choy into the pot. Take out the noodle with greens. 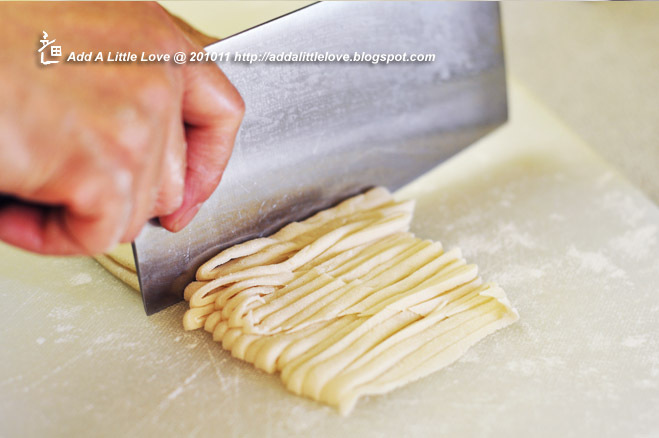 This is great, I love handmade noodles!